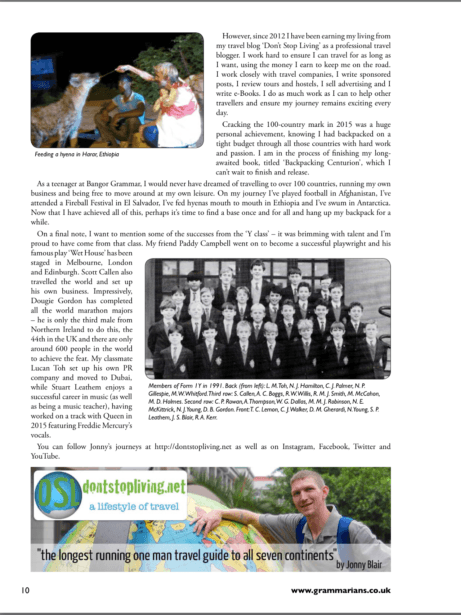 On this page I aim to put all the media appearances related to the Don’t Stop Living travel blog down the years. I have appeared on numerous media outlets including the BBC, Wanderlust and the Belfast Telegraph. I haven’t included my personal media appearances on here to make things a bit more concise and relevant to Don’t Stop Living. My personal media appearances are on my own business site. But still, not all of them. Although most of this is recent and in the form of online posts and interviews, I used to work in PR and had an abundance of media appearances in the past with other projects. I’m putting my online appearances first on here as they are more recent, more frequent and where it’s at these days. I’m always available for interview for other sites and I regularly contribute articles for other websites, here’s the best of them…if you want to interview me for your site or want to feature me, then just get in touch through my contacts or advertising pages. 4th – I am interviewed for Ric Gazarian’s Counting Countries Series on Globaz Gaz. 9th – I am included in a list of top adventure blogs for 2018 on Adventure Junkies. 6th – My best ever travel film / movie / fillim choice is included in Complete City Guides. 14th – My profile as an online teacher of English and student of Polish on iTalki. 18th – My tips on travel safety appear on Off at Everything. 19th – My tour of the mines in Potosi is included on an article about Bolivia on Travel Lemming. 21st – I am included in an article about Sri Lanka for Tour Radar. 29th – My article on highlights of Iceland appears on Guide to Iceland. 30th – My article on Icelandic football appears on Guide to Iceland. 30th – My article on Chinese football appears on Culture Trip. 19th – My article on backpacking in Jeddah appears on We Blog the World. 20th – My tips on packing for Arctic trips appear on Mighty Goods. 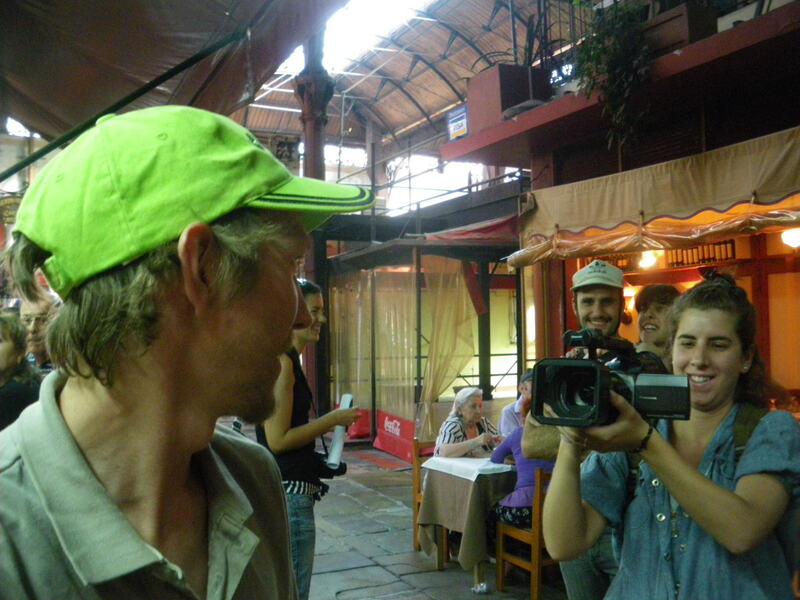 22nd – I am interviewed about travel for aSabbatical about backpacking and digital nomadery. 22nd – My article on backpacking in Riyadh appears on Culture Trip. 23rd – My tips on touring Kraków appear on Discover Cracow. 26th – My tip on travelling with a real pen and real map appear on Turtler. 21st – I include the Cat Cafe Gdynia in a list of world’s best cat cafes for Omno Nirvana. 23rd – I am included on a list of featured travel experts for First Site Guide. 11th – Included in the best Polish travel blogs on Feedspot. 17th – Included in the best Solo Man travel blogs list for Hello Travel. 27th – My travel tip is included in a list of tips for new travellers on Military Travel Mama. 30th – I am included in a list of best travel blogs in Europe on Asher Ferguson. 25th – I am interviewed by Multicultural Warsaw. 30th – I am included in a list of Australian country towns for 50 Shades of Age. 2nd – I am included on a guide on Best Travel Blogs 2018 on Movie Hustle. 4th – I am included in an article on Best Beaches on Pack the PJs. 18th – I am featured in an article about backpacking in the Guyanas on Guía para viajar por las Guayanas. 24th – I am included on Feed Magic for a previous article on Antarctica. 1st – I include Coastal Villages in Northern Ireland on Live Less Ordinary’s Guide to Ireland. 27th – My blogs Don’t Stop Living and Northern Irishman in Poland both appear on a list of Europe’s best travel blogs. 3rd – My trip to Zalipie is included in a post by Lois at the Polish Housewife. 3rd – My trip to Babruysk in Belarus is included on Megan Starr’s blog. 6th – My dolphin watching in Panglao is included in a post on Lena on the Move. 6th – My trip to Babruysk in Belarus is featured on Belarus Feed.com. 26th – Don’t Stop Living is featured in top 10 travel blogs for 2019 on Tenacious Travel. 17th – I am interviewed on Culture with Travel. 21st – I am featured in the Irish Times on an article on travelling to war zones. 21st – I am interviewed in the Irish Times on an article about my own travel journey. 21st – My stories on the Irish Times. 29th – I am featured on the Biskupiec Website after my visit to this town. 22nd – I am featured on Arab Today discussing Afghanistan. 25th – My Northern Irish blog is featured on Top Europe Travel Blogs. 20th – I am featured as one of Europe’s Top 30 Travel Blogs of 2017 on Asher Ferguson’s Site. 29th – I am interviewed about Paris for Discover Walks blog. 29th – My new blog, this one (!) 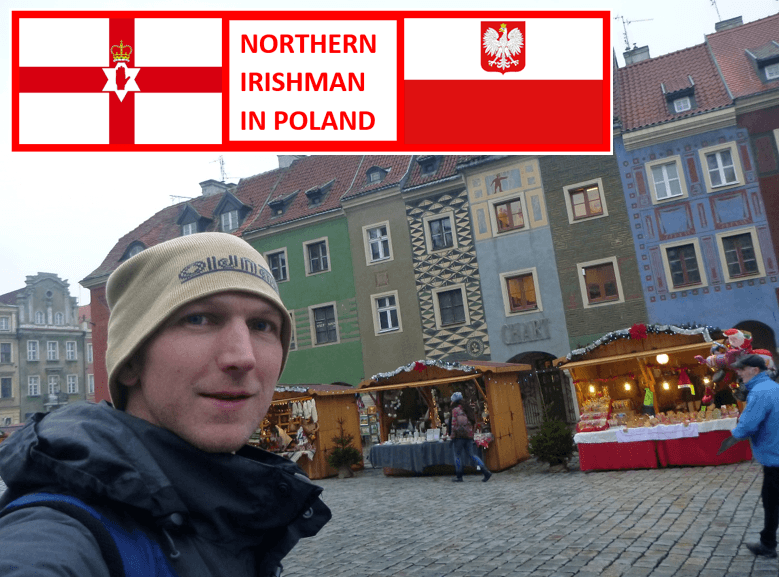 Norn Iron man in Poland is included in Best European blogs along with Backpacking in Northern Ireland. 29th – My Gibraltar border backpacking tour gets featured on a cool Brexit blog, the day the shebang goes live. 12th – I am included in an article about Working on the Move on the Working Traveller. 13th – My original travel blog Don’t Stop Living is included on a list of best 110 blogs for men on JJ Suspenders. 21st – I am included in an article on Ireland for Global Goose. 29th – I am included in an article on the best places that travel bloggers have visited on Inspire Me – Something I read. 4th – My article on 100 countries later appears on Bournemouth University Postgrads site. 29th – I am mentioned on Mateusz Kulewicz site after my tour of Krolestwo Dreamlandu. 2nd – I am featured on Ex Pat Focus as an ex patriot now living in Poland. 4th – My photo from a beach in Malaysia is included in a thesis about Jellyfish by Zilda Morais, Agustín Schiariti and André Morandini. 5th – I am included on the Hong Kong Government Website discussing my Working Holiday there. 6th – I am mentioned on the Krolestwo Dreamlandu Forums following my backpacking tour of Dreamland. 13th – My Ex Pat Focus interview is referenced in the latest blogs. 14th – My whackpacking Afghanistan story is featured on a Chinese Tourist Blog. 15th – My 2015 visit to the groovy Empire of Adammia was included in words and a picture on the country’s Microwiki Page. 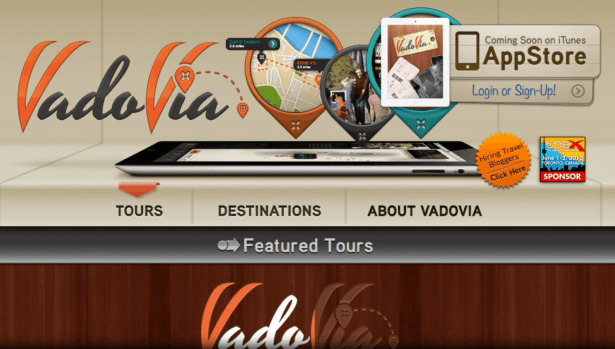 20th – My travel tip is included on a list of travel tips on Jovago. 1st – I am included in an article about Moldova’s Orheiul Vechi. 4th – I am interviewed by Nomad Mania. 7th – I am interviewed by Big World Small Pockets on my ongoing travel adventures. 11th – I penned a tribute along with Jordie McCluskey for the Bangor Grammar School Magazine, the Grammarian all about our wonderful friend Michael Whitford, gone too soon from our lives. 13th – I am included in a post on budget travel tips on Linked In via Jovago.net. 18th – My tip is included on a Cyprus based website for my holiday travel tips. 18th – I am featured as a foreigner living in Poland for the excellent website, Careers in Poland. 19th – My profile on Tripscam. 14th – My profile for Culture Trip website where I write about Poland. 15th – My feature on Mighty Goods in an interview of living life without limits. 15th – I am included in my friend Mateusz’s post about the Kartofliska match in Warszawa, Poland. 23rd – I am included on a list of dating bloggers on We Love Dates. 24th – My message to Pani Alina at Learn Polish in Gdansk is featured on their friends page of the Polish School’s website. 27th – My travel tip about Portavogie is included in a post about Ireland on Journalist on the Run. 29th – MY main travel blog is included in a list of Best Outdoor Blogs on the Smart Man. 1st – My profile on Culture Trip. 4th – I am included on a list of best adventure blogs by Wander Pig. 5th – My Northern Irish evening is covered on the popular Klub Dialogu blog by Lauren Colgan. 16th – I am interviewed on Off at Everything. 10th – My blog is listed on the Smart Lad’s list of best travel blogs. 12th – I am included in a piece about backpacking in Botswana. 19th – My first travel story is included on Worldpackers website. 24th – Ahead of my trip to watch Glentoran, I am included on the Glentoran website news. 24th – I am featured in the newspaper and website of Dziennik Baltycki after my recent stories on Gdańsk. I am included in a list of blogs about Don Det (1,000 Islands) in Laos. 4th – I am entered in a competition to win a trip to Antarctica with Oceanwide Expeditions. 6th – I submitted Belfast in Northern Ireland in a list of best cities to visit in 2016. 13th – I gave a tip on visiting countries nobody else has heard of for Asia Tours and Holidays website. 21st – I am included in a list by Flipkey on the most travelled bloggers, having been to 112 countries at the time of writing. 22nd – Entered in the Top 5 UK Bloggers of the Year Awards on Bloggers Lounge. 22nd – Entered in the Best UK Bloggers of the Year Awards on Blog Awards UK. 22nd – Interviewed in Bishkek, Kyrgyzstan for Sputnik News Website. 25th – Interviewed by Romanian website Rolandia. 11th – I am featured in an interview with Columbus Direct. 11th – I am featured on an article about Afghanistan about my border crossing at Friendship Bridge. 15th – I am interviewed about blogging and marketing on In Marketing We Trust. 23rd – I am interviewed by Anda Galffy on her site Travel Notes and Beyond. 2nd – I am interview for the Naomi in Wonderland blog. 20th – I am included in a list of 10 Adventure Travelers on Adventure Fit Travel. 23rd – I am included in this article by Untamed Borders after my time backpacking in Afghanistan. 15th – I am included in a promotional brochure in Hong Kong about Working Holiday Visas. 29th – I am interviewed about being a digital nomad for Farm Boy and City Girl. 2nd – I am featured on Martin Anthony’s Travel Blog after our meet up in Liverpool – Overland Metalhead meets Don’t Stop Living. 4th – I am featured on the website Money Supermarket.com ahead of my crazy #MSMLostLuggage adventure to Senegal. 4th – I am included on a list of the top 25 Adventure Travel Blogs by Travels Auro. 16th – I am included on a list of the world’s best 100 travel blogs of 2016 by Coupon Machine. 17th – I am included in a list of travel blogger opinions on India for Maavalan India Travels. 24th – One of my photos from East Timor is included on an article for Rowman:https://rowman.com/RLPublishers. 25th – I contributed my travelling Northern Ireland flag as my must have travel item on City Guide Guru’s list. 25th – Thanks to Janet Newenham for including my site in a list of Best Irish Travel Blogs 2016 on Journalist on the Run. 25th – My profile on Fohr Card – Jonny Blair. 25th – My profile on Hupmap – Jonny Blair. 2nd – I am entered in a competition to Blog my Way to Spain with Clickstay. 23rd – I am featured in a guide to backpacking in India with one of 91 tips. 25th – I am interviewed by the Belfast Telegraph on location in France with the Green and White Army. 26th – I am interviewed by The Sun about travelling around the world supporting Northern Ireland. 4th – I am included on a list of best Irish Bloggers on the Huffington Post. 11th – I am featured as an expert on Lost Luggage for Money Supermarket.com. 4th – I was on tour with Eat Polska in Gdynia, Poland and covered it for We Blog the World. 19th – I contributed Bangkok in Thailand in an article about places NOT to go. 27th – My post on backpacking in Xinaliq is included in a guide about Azerbaijan on Concrete and Kitsch. 28th – I am included in a list of best adventure travel blogs for Credit Donkey. 11th – I am included in the top 25 Adventure Travel Blogs by Outdoor Veteran. 26th – I am featured in the local newspaper and website in Kociewie Region of Poland because of my time as a tourist in Starogard Gdanski. 28th – Featured on Trucker World talking about Afghanistan. 1st – I am featured for the first time ever in The Grammarian, official magazine of Bangor Grammar School. 6th – I appear on a night with the Dziewczyna w żółtych spodniach at Irish Dancing in Gdańsk, Poland. 19th – My website is listed on Awesome Travel Blogs with Mountain IQ. 6th – My tips on travelling solo as a male appear on Jovago. 11th – My story on backpacking in Tczew is featured on the local Tczew news site. 18th – I am interviewed on the Best Travelled site about my zany adventures. 18th – My profile on the Best Travelled Site. 25th – My profile on Post Crossing. 8th – I am included at number 17 in the list of best male solo travel blogs 2016. 9th – My profile on Teaching English in Warszawa, Poland. 16th – I am quoted on a piece about Afghanistan tourism. 17th – My ongoing work for Hipmunk can be seen on this page as an example. 4th – My story on working on the farms of Australia on Work and Travel Abroad. 11th – I am quoted on the Hong Kong Working Holiday Site based on my experiences of living there in 2011 – 2015. 20th – Due to my ongoing depression and the lies of Kokoszkowy girl Ola Mueller, I set up a new travel blog called Northern Irishman in Poland because she never admitted her lies or apologised. 1st – Article on Inspiring Destinations – Antarctica for Andrew Passport Chronicles. 6th – My new Jonny Blair logo appears on Ilona Skladzien’s website, My Logo I. 15th – Featured in an article on Islamic Destinations on Maroc – Why Visit an Islamic Country in 2015? 17th – I contributed my time working in Australian Irish Pubs to a post on St. Patrick’s Day on Wandering On with Noelle and Brian. 21st – I am featured on the Austenasian Times the day I became the first ever tourist or backpacker to visit the nation. 23rd – I am featured on the Flying Yak on my story and interview about What Happened in the Broccoli Fields? 22nd – I am included in an article on best destinations in Sri Lanka on Olanka. 28th – I contributed El Salvador to an article by Chris on Aussie on the Road about Under-rated destinations. 7th – I reviewed Hostel Copenhagen Downtown on my site and on theirs. 7th – I am included in a list of top 7 solo travel bloggers to check out on Low Cost Holidays Blog. 9th – I am included in a list of top 3 travel blogs to follow on The Wise Traveller. 16th – I am featured by Hostel Downtown Copenhagen after my stay there. 28th – I am included in a list of 10 favourite travel blogs on One Weird Globe with Chris Backe. 17th – I’m featured on the front page of the online and printed version of the Adammia Express ahead of my visit to the country. 28th – I am included on an article about Scotland on Traveling Savage as part of London City Airport #nofilter campaign. 29th – I am featured on a video documentary about the Forest of Dean by photographer Sean Tucker. 3rd – I’m featured on the front page of the online and printed version of the Adammia Express after my visit to the country. 18th – I’m featured by Chris from Aussie on the Road on an article about Bulldog reasons not to travel. 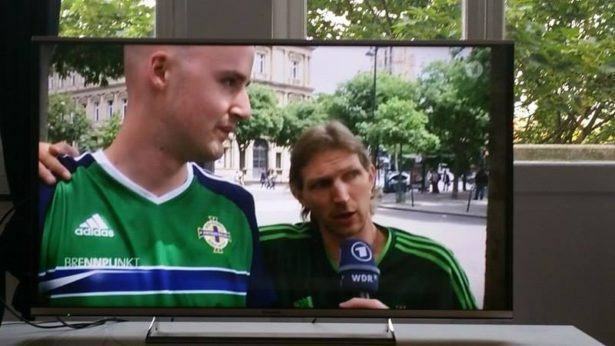 28th – I’m interviewed in my home country Northern Ireland on UTV Live news about George Best’s funeral. 2nd – Appeared on the daily Iraqi Kurdistan newsletter on my post about getting a visa for Kurdistan. 4th – Featured as one of the top posts from December 2013 on Sam and Zab’s Indefinite Adventure site. 6th – I’m interviewed on Allan Wilson’s site Live Less Ordinary where he describes me as The Best Travel Blogger in the World. 7th – Contributed to an article on staying safe in South America on Sam and Zab’s Indefinite Adventure site: Safety in South America. 8th – A few of my articles are featured on Travel Iraqi Kurdistan website including my report on Amadiya. 22nd – Featured on Wanderlust Wednesdays on Used York City.com in an article called 10 Bloggers Share Their Most Anticipated Trip of 2014. 24th – Featured on a series about Beers around the World on eTramping: Beers Around the World – Petra in Jordan. 27th – My tickets for Oasis gigs in 1996 and 1997 plus a short report are included in an awesome “12 Moments of Nostalgia in Ireland’s Love Affair with Oasis” post on Daily Edge. 21st – A Video of me appears on Daily Motion based on my Mighty Travels interview. 25th – Featured in an interview on Tripoto proving you don’t need to be rich to travel the world. 27th – My article on football which includes a bit about my passion for Northern Ireland and my trip to Uruguay is featured on UFWC: Can Northern Ireland Become UFWC Champions? 29th – I wrote an article for Young Pioneer about North Korean football: We are the Champions – North Korea’s winning ways. 20th – Thanks to my time drinking in Indonesia I am featured in a post about Non Muslims in Indonesia! 1st – I contributed my visit to Garni Temple in Armenia to eTramping’s Article 30 World’s Most Beautiful Temples. 24th – My article on touring Amna Suraka in Iraq appears on Crossing World Borders. 30th – My article about the Omar Ali Saifuddien Mosque in Bandar Seri Begawan appears on Hopper. 28th – Included in Nomadic Samuel’s Top 100 Travel Blogs – Don’t Stop Living in at 96 on Alexa. 30th – Mentioned on We Said Go Travel for the interview with Lisa and George. 1st – Included on Blogs I Still Bother Reading on Jarrlemen’s Blog. 2nd – Contributed to an article on Renegade Travels: Do You Really Need Travel Insurance? 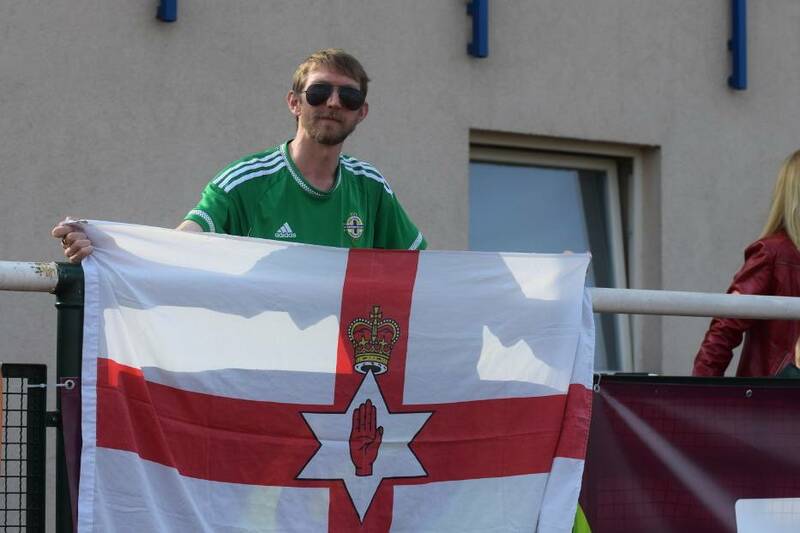 9th – Featured on BBC Northern Ireland online based on my travels around the world with my Northern Ireland flag: Bangor man travels the world with Northern Ireland flag. 25th – Featured on My Morning Routine, sharing how I spend my mornings: Jonny Blair’s Morning Routine. 26th – Featured on Backpack Me’s Travel Blog Exchange. 21st – “The 5 Easiest Jobs to Travel With” wins Blog of the Week on Wanderlust: 5 Easiest Jobs to Travel With. 31st – Featured on Jewish Heritage for a video from Bethlehem University. 14th – Article on the Global Grasshopper on China: 10 off the Beaten Track Spots in China by Jonny Blair of Don’t Stop Living. August 2016 – I am interviewed on Belfast 89 FM about my travels and hanging up of my backpack. – Included in a debate in the Belfast Telegraph over a ridiculous “blue stripe” in the latest Northern Ireland kit. – Featured in the Sun newspaper on my travels through 100 countries and to the Euros in France. – Featured in the Belfast Telegraph on my travels through 100 countries and to the Euros in France. – Included in photos and article on Bangor fans heading to the Euros in France. – Featured in the Daily Mail on my travels through Afghanistan. – Featured in the Irish News on my travels through Afghanistan. 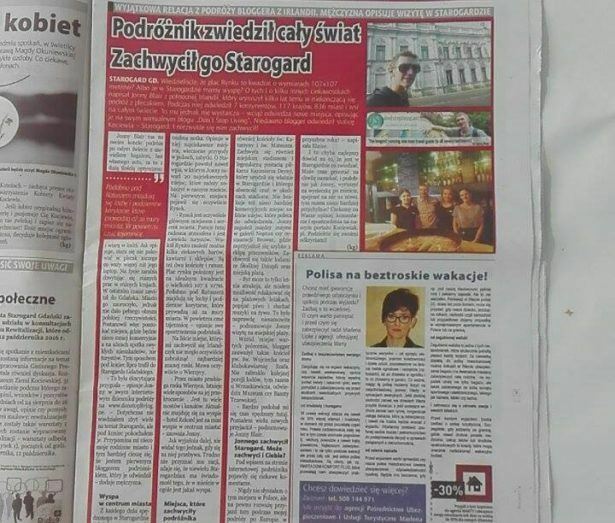 – Featured in the Gazeta Kociewska on my travels to Starogard Gdanski, Poland. Working Wednesdays: Where’s Jonny? 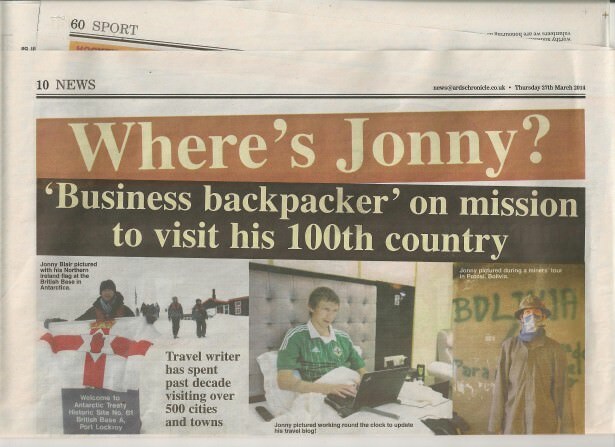 Business Backpacker on a Mission to visit his 100th Country. Sadly my adventure took on a few lows and I have put these on this article at the bottom as it also highlights the negative times on the road. I was missing for 10 days in Poland, suicidal, I will write more about it because I survived and I suffer from depression.